I'm still not sure about my rusty wheelbarrow planter but the agave pups I put in there are so much happier. They got water every day this summer but the drainage is very sharp, so they've gone from skinny desiccated things to being fat and happy. I'm hoping that the sedums fill in next spring before the weeds can. I'm pretty excited for next summer to see what survives. I purchased a trellis to go behind this area, next to the stock tank full of bamboo. 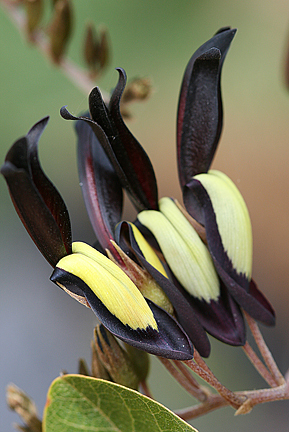 I'd like to plant Kennedia nigricans, so I have black blooms twining behind the yellow bamboo. And then maybe I'll actually plant the surrounding bare ground with some grasses or something so it doesn't look so staged.